Around the world there has been a shift in culture, not merely a changing trend. Not only do people in ageing populations treat pets as their new children, but there is more awareness about animal welfare: something that is significantly boosted by social media and image sharing: a good story can easily spread like a fire. According to predictions, the pet care market will soon be worth more than $200 Billion per annum: that is the forecast for 2025. With the average dog owner already spending in excess of $1700 per year to look after their best friend, the industry is thriving. The number of ailments that pets suffer from is vast. This is often boosted by various factors, especially where pets have not been bred specifically to avoid hereditary/genetic conditions. Adding to that, is the fact that pets cannot actually speak up when they feel unwell: so owners who are aware of an ailment would want their pet to be treated as a precaution rather than a reaction, especially in cases of stress, epilepsy and skin diseases. 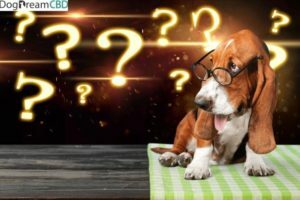 We tracked down a popular comparison website, https://dogdreamcbd.com/ where pet owners evaluate different CBD products for dogs. Surprisingly at least 12 brands showed up for which strong social proof exist. There is thus strong consumer sentiment for pet CBD it is clear that CBD is not only a mega trend among humans: these new brands that were launched in recent years, show that awareness levels among pet owners are on the rise. It will likely face less barriers than CBD supplied to humans, if recent hostile actions by NYC and other state actors are to be taken seriously: some states opposed federal law and attempted to limit CBD sales to humans. Since CBD for pets is an unregulated area, one way of making sure you do not buy products that has been compromised, is to watch for product certification. Knowing where a brand has been cultivated – and that it is certified and lab tested, is currently one of the most reliable ways to assure quality. Human CBD is more regulated, both under the New Farm Bill – and at a state level. Therefore manufacturers dealing with both human and pet products may have a better grasp on quality. There is also a “National animal supplement council” where brands can be verified, although the rate at which the industry grows, means that several brands can obtain certification or use the same raw materials for production, given that there are very few wholesalers of CBD isolate in the US. As rare as it may seem, in Virginia, the vets are not allowed to prescribe CBD for pets. However it is common knowledge that in these states, people simply order the products online to bypass local laws that does not move in tandem with federal provisions. There will no doubt be a time of turbulence where health claims of CBD will be challenged. Already academics have spent several years gather evidence on this, but in order to maintain momentum, more concrete proof will need to be produced about potential health benefits. That said, there is overwhelming social proof that people and their pets are in on the trend – and that it is working. In the case of pets, understanding dosage requirements is important. However product selection is crucial. Given that products with zero THC do not have side effects or make you “high”, in the case of pets, the real risk is that owners may try to save money and buy cheaper products that may have been compromised. Remember, that CBD that is grown on contaminated soil near factories and industrial cities in China, are often also treated with pesticides to secure the harvest. There is therefore a risk associated with cheaper products that are imported. CBD for dogs is not so much a trend that came about as a fashion. Instead, it is driven by more liberal laws that made humans aware of the product – and the fact that both animals and humans suffer from various ailments that are chronic. It is important to remember that animals cannot speak for themselves. For this reason, seeking professional advise and watching dosage guidelines carefully are important. This is one of the most exciting industries to analyse – watch this space for more updates.